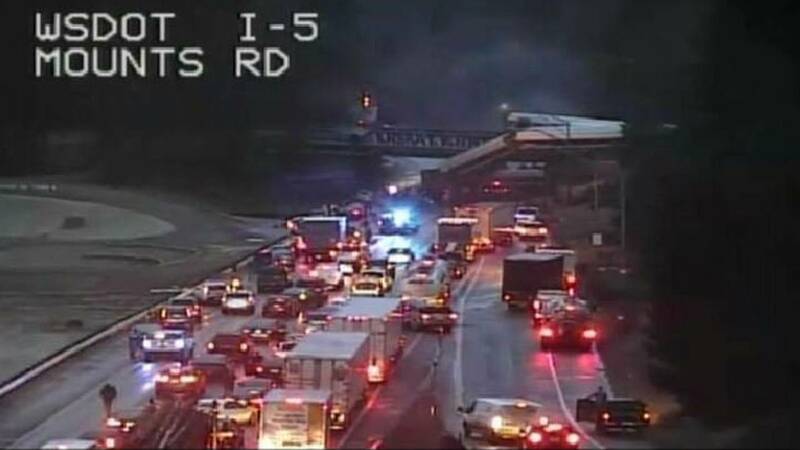 DUPONT, Washington (CNN) - At least three people were killed and more than 100 injured when an Amtrak passenger train derailed in Washington state, DuPont Fire Chief Larry Creekmore said Monday night. Chris Karnes, a passenger on the train, is chairman of the Pierce Transit Community Transportation Advisory Group. He said he boarded the train between Seattle and Tacoma and took a seat on the third or fourth car. Karnes said the train was moving at a "pretty good pace" -- roughly 70 to 80 mph, judging from the fact the train was passing cars on the highway -- when it derailed. President Trump posted a tweet about what he called the country's crumbling infrastructure. Washington state's congressional delegation also shared their condolences on Twitter.